Get a free DVD rental at your local Redbox through Monday March 1st. Use Redbox code: RBXLUV4U. 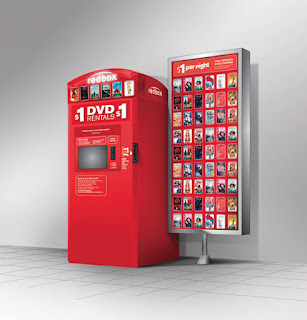 Locate a Redbox near you! Money Maker at Dollar General - No Coupons Req'd! Margie is reporting that her local Dollar General has Ziploc Steamer three packs at $1.00 each ($3 OOP). Use with the SC Johnson Rebate for $5 when you purchase ANY listed product and you have a $2 Money Maker! Print/Read Target's Official Coupon Policy . FREE $5 Gift Card wyb 3 Olay Body Washes, Bath Bar 2/7 - 3/27 Olay Total Effects 8.2 oz Size, Should include Olay Bath Bar Bonus Pack and All BONUS Packs of Olay Body Wash (non-bonus packs other than Total Effects are NOT working this deal is regional). All You Magazine for only $15.00 here! Printable coupons save $1.00/1 Dryer Clothes or save $1.00/2 Laundry Det. More Printable Coupons HERE and HERE. Don't miss out Print your Coupons now! 80% Off at Restaurant.com - Ends Today! Right now Restaurant.com is offering 80% off of $25 Gift Certificates when you use code SAVOR. This means you pay $2! You can also receive 80% off every order in the Dinner of the Month Club when you use code SAVOR. These offers expire February 28th. Look for the Walgreens Activity Book and the March Coupon Book. Final Price, up to $11.99 moneymaker after coupon, register reward and mail in rebate! Pay $7.47 out of pocket and Earn a $5 RR back.